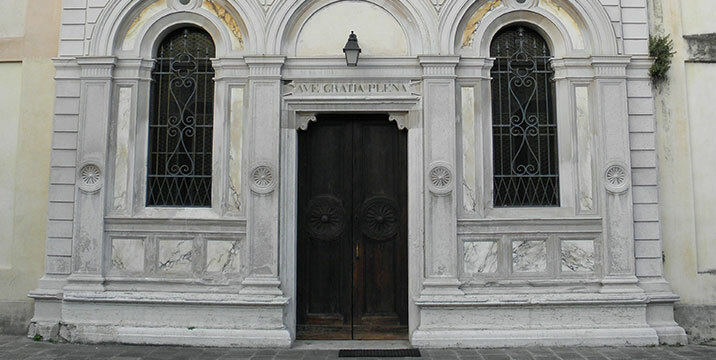 The first information of the Church of San Francesco dates back to 1292, the year in which Obizzo II d’Este signed a bequeath for the community of the Franciscan Friars in Rovigo who had been in the city since 1213. Five years later construction began on the building with an adjacent monastery which consisted of two cloisters, one of which connecting with the church. In 1413 the church was enlarged with a nave to the south. The entire building was constructed in exposed brick and the bell tower was built in 1520. The church was also dedicated to Santa Giustina in 1806, four years before the church of the same name, located in the current Piazza Garibaldi, was demolished. 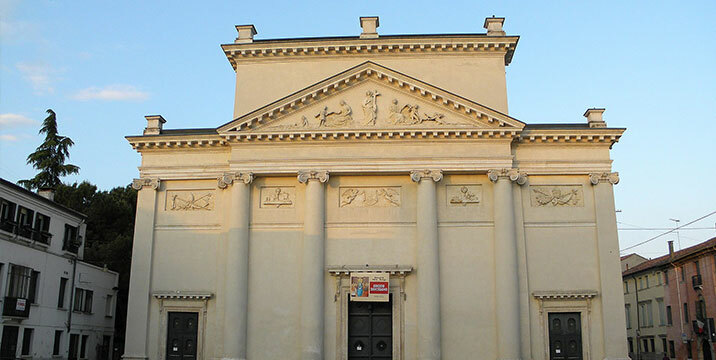 The current neo-classical style of the church is due to the renovation and expansion that took place between 1827 and 1896 on a design by Lorenzo Urbani and Lorenzo Rossini. 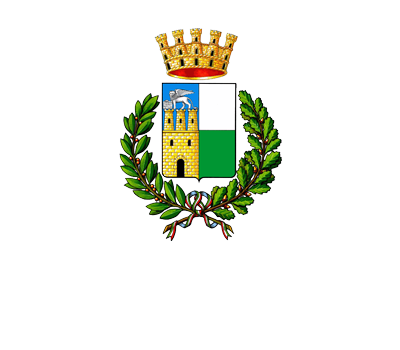 The oldest marble and burial evidence of one of the oldest churches in Rovigo have been almost completely eliminated during the nineteenth-century reconstruction of the building. As you enter you can immediately see a valuable holy water font dating back to the early first decade of the XVI century and the first chapel on the right houses a valuable painting attributed to the Maestro dei Dodici Apostoli, Master of the Twelve Apostles, moving on, other valuable works can be seen including “The Madonna Enthroned between Saints Pietro and Andrea” by Domenico Panetti, in the second chapel on the right, or the sculpture of “St. Lorenzo ” attributed to Giovanni Maria Morlaiter in the next chapel. Further on an altarpiece depicting the “Pentecost” by Girolamo da Carpi, and of the three small canvases that decorated the dais only “St. Francis receiving the stigmata” remains. In the left aisle is the famous “Pieta” by Tullio Lombardo dated 1526, lower down, on either side of the statue, two statues one of Saint Bellino on the right and the other of Saint Stefano on the left. A recent restoration has brought to light a Gothic chapel in the back wall of the left transept. 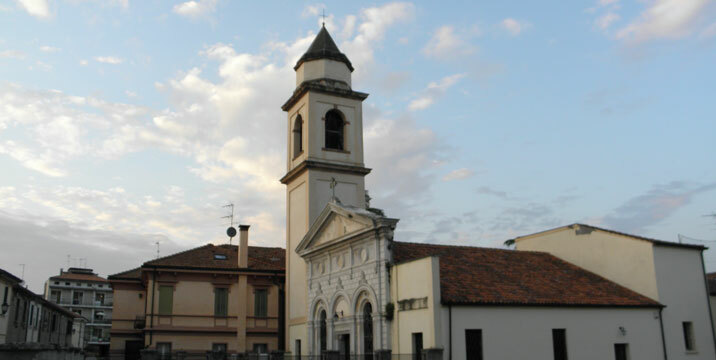 The Church of the Immaculate Conception of Mary, commonly known as “of the Cristo,” is one of the oldest religious buildings in Rovigo; according to a local historian, it was founded by St. Francis himself in 1213, with the title of the Holy Cross. At one time the church was attached to the convent of the Franciscan Minori and was probably the third to be built in the city after the Cathedral and the church of Santa Giustina. The building underwent several renovations over the centuries. In the second half of the 1800s, the floor was rebuilt and the rooms where St. Francis of Assisi had spent a night in prayer were renovated. In 1810, after the Napoleonic government instituted the solemnity of Christ, the devotion of the people moved towards the image of the Crucifix considered miraculous; from which the “chiesa di Cristo” derives its name. The current facade in neo albertiano style was designed in 1888 by Raffaele Cattaneo from Rovigo, while the interior retains its medieval features in the three low naves and wooden ceiling.